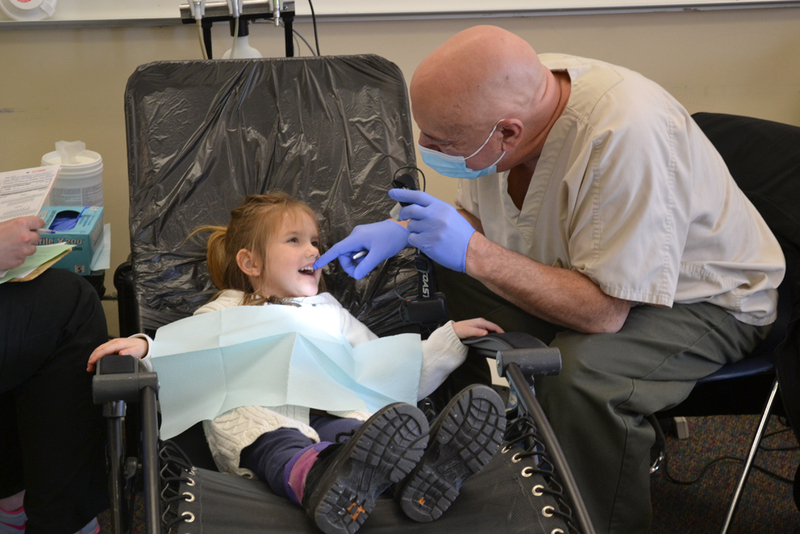 Dentist Michael Swedo counts a student’s teeth at the Ann Arbor Preschool and Family Center Feb. 10, 2014. When it comes to oral health, starting good habits early in life is important. That’s why the AAPS Preschool and Family Center helps its students and families access oral health care. Volunteer hygienists and dentists provide fluoride treatments twice yearly at the center, and Michigan Dental Outreach’s Mobile Dentists visit the school to provide x-rays and cleaning services once per year. 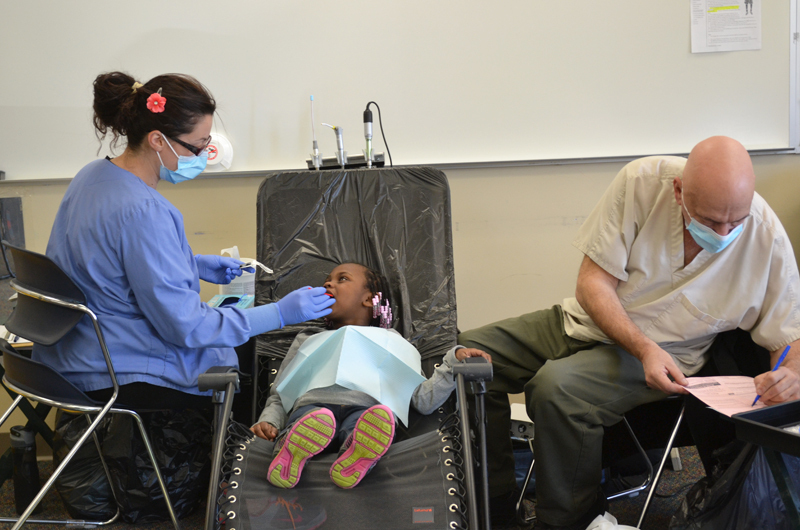 The mobile dentists made their most recent visit to the preschool on Feb. 10. Mobile Dentists bills Medicaid or private insurance. “Most of the students who are uninsured qualify for a grant, so we see them once a year at no cost to the parents,” Kastle said. Dentist Michael Swedo and hygienist Grace Peruski provide an examination and cleaning Feb. 10, 2014. Mobile Dentists provides copies of dental records to the parents and the school, and parents are told how to access more oral health services if their child needs further care. “For our children who are from low-income families, Medicaid only pays for tooth extraction, so by that point it’s the last resort,” said Jo Ann Catalfio, a family and community resource specialist at the preschool.